Connecting with your class is fun when you use these cute greeting cards. They go along with your study of bears, colors, or enjoying predictable literature. 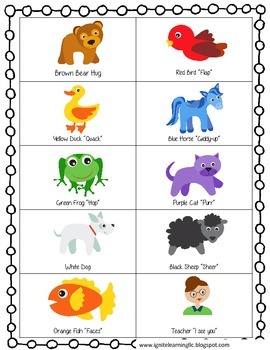 There is one greeting for each color/animal and instructions on how to do each greeting. There are also extension activities for other creative ways to use the cards.